Alaska Native News Apr 18, 2018. Just before 6 pm on Tuesday evening, APD responded to the Shell gas station located at 810 West Tudor Road to investigate a robbery that had occurred there. The investigation at the scene would reveal that four males pulled up to the station and three of the occupants got out while the driver stayed in the older-model Chevy SUV. 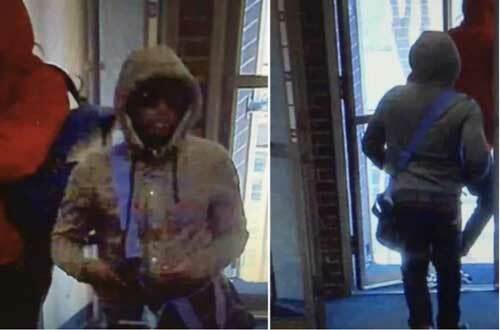 The three light-skinned black males entered the store wearing sunglasses and bandannas covering their faces and two of the suspects grabbed the cash registers from the counter. They were interrupted by an employee coming out of the back of the business. As a result, the third suspect fired a round from a shotgun he had brought into the store. The suspect with the shotgun had a skinny build and was wearing a green hooded sweatshirt and a red beanie. The second suspect was wearing a large winter parker with fur trim. The third suspect was wearing a gray hoodie over a green T-shirt, according to APD.The three suspects backed out of the store with store items and the cash registers. As they left the store, the subject with the shotgun fired off two more rounds. No one was injured in the incident. The three got back into the SUV and they departed southbound on Arctic Boulevard and then eastbound on West 45th Avenue. The black SUV with silver aftermarket rims was described as having damage to the front passenger side. Approximately six hours later, an almost identical robbery took place on Hollywood Drive on Government Hill. Just before midnight the 2GO Tesoro was robbed at shotgun point and the cash register was stolen. The three men also fled in a vehicle that fit the description of the vehicle used in the earlier robbery. The vehicle was located on fire in the parking lot of the Church of Latter Day Saints off Baxter Road on Wednesday morning. 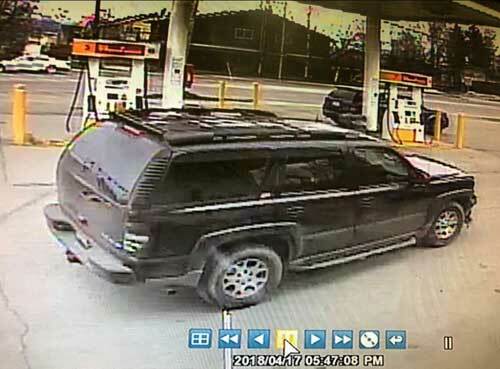 It may have the vehicle reported stolen three days earlier from the 7200-block of Lake Otis. Anyone with information regarding either the suspects or the vehicle is asked to call Police Dispatch at 3-1-1 (option #1). To remain anonymous you may contact Crime Stoppers at 561-STOP or online at www.anchoragecrimestoppers.com.